The tropical island of Madagascar lies off the east coast of Africa and is home to a thrilling variety of unique animals and plants in addition to miles and miles of sun-drenched beaches. In recent years, the island has become more and more popular as a tourist destination, particularly for nature lovers, who come to explore the many national parks and see the country’s delightful population of lemurs. In addition to stunning natural attractions, the county has a rich history and culture, which can be explored on a walking tour of the capital city Antananarivo or on a visit to Ambohimanga World Heritage Site. As well as to getting back to nature on a myriad of hiking trails, you can also go island hopping, snorkeling, or kayaking and even try your hand at kite surfing. Amber Mountain National Park is nestled at the northernmost tip of Madagascar Island, approximately 20 miles south of the town of Diego Suarez. 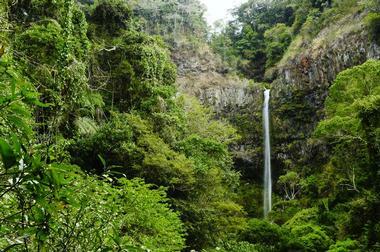 The park covers a large area of over 18,500 hectares, parts of which rise to an altitude of nearly 5,000 feet, encompassing montane forest, rainforest, waterfalls, crater lakes, and an abundance of unique wildlife. You can explore the park at your leisure on either a guided tour or with the assistance of a local guide, who will lead you to see the highlights, which include three beautiful waterfalls. The park is renowned for having remarkable bio-diversity, and you can expect to see several species of lemur, chameleon, and geckos as well as a wide variety of birds and small mammals. 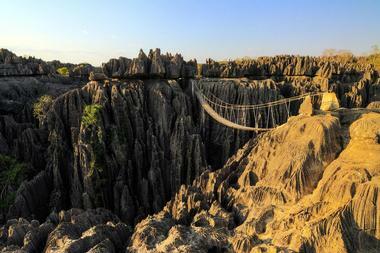 Ambohimanga Hill is a UNESCO World Heritage Site situated in the province of Antananarivo in northern Madagascar. 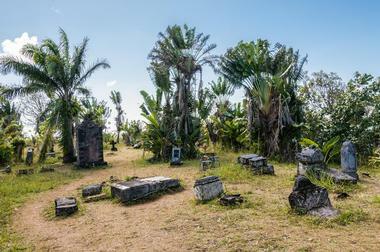 Ambohimanga Hill was a royal city and burial site, and later a summer palace for Malagasy royalty. The city was protected by an enormous stone wall and 14 outer gates, the largest of which featured a massive stone disc that was over 130 feet in diameter and required at least 20 strong men to move it into position. You can explore the interesting site at your own pace or with the assistance of a guide, who will be able to explain many details you may miss if visiting on your own. Highlights include the two palaces, the sacrificial ox pit, four royal tombs, two sacred basins, and the massive main gate. Located approximately 90 miles east of the capital Antananarivo, the Analamazoatra Special Reserve (which forms part of the Adasibe-Mantadia National Park), is a must-see attraction for all nature lovers. The reserve is home to the beautiful and exceptionally rare indri lemur, the largest surviving lemur in the world, together with a large variety of other lemurs, reptiles, birds, and small mammals. The compact size of the reserve means that it is easy to explore on foot along a selection of walking trails that take between 2 and 6 hours to complete. 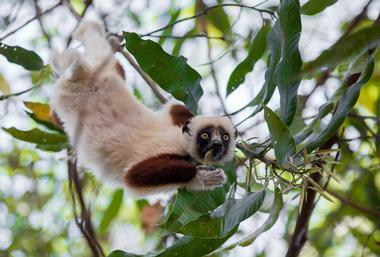 The best time to see and hear the distinctive call of the indri is early morning, before 11:00am. Covering a large area of just under 60 square miles of tropical rainforest, Adasibe-Mantadia National Park beckons nature lovers to come and see a wide variety of indigenous Malagasy wildlife, including the rare indri lemur. The park is comprised of the Analamazoatra (Perinet) reserve, which is where you will find the indri lemur, and Mantadia National Park, which is a sanctuary for over 14 species of lemur together with an excellent representation of reptiles and over 100 species of orchids and other indigenous flora. The entire area is bisected by a network of hiking trails for all fitness levels and guided night walks are offered, where you can observe the activities of all the nocturnal inhabitants. Located in the northwestern corner of the island, Ankarafantsika National Park is one of the last remaining remnants of dry deciduous forest in Madagascar and provides sanctuary to many species of critically endangered mammals, reptiles, and birds. You can explore the park on foot along a selection of 11 marked trails, which will give you the opportunity to see up to eight species of lemur, 129 species of birds, and many reptiles, including the Madagascar big-headed turtle and the rhinoceros. One of the highlights of your visit to the park is without doubt the night walk, when many of the nocturnal creatures are active. You can stay overnight in a selection of on-site accommodation ranging from roofed campsites to comfortable bungalows. 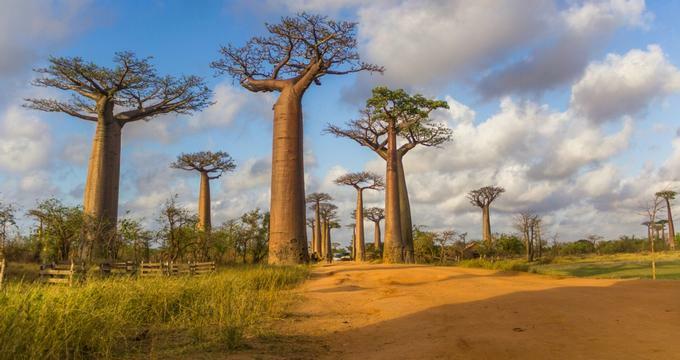 Near the fisherman’s town of Morondava on the west coast of Madagascar you can find a fascinating avenue of ancient baobab trees – all that now remains of what must once have been a majestic forest of these primeval giants. Baobab trees are a marvel of nature and can be tapped for water during drought, provide edible young salad-like leaves, and fruits that contain a nutritious sour pulp used in various drinks and foods throughout Africa. Some of the mighty trees that make up the famous Avenue of the Baobabs are believed to be up to 800 years old, and several have a diameter of up to 20 feet. 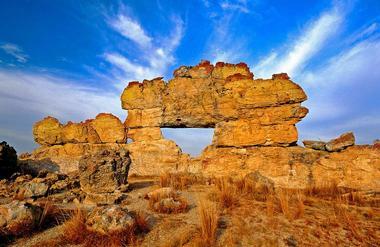 Try to plan your visit for sunset, when the otherworldly landscape is at its best. 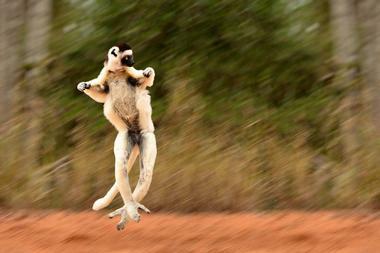 The Berenty Reserve is located in southern Madagascar, where it covers over 1,000 hectares of natural forest. The reserve is dedicated to scientific research and to protecting and showcasing Madagascar’s diminishing lemur population while preserving their habitats. Visitors are welcome to come and spend a day or two exploring the reserve with the assistance of an expert driver and guide, who will ensure that you get to see all the highlights of the reserve. 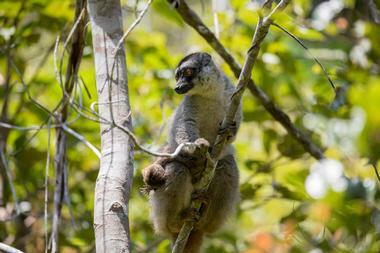 You can expect to see several species of lemur during you visit, including the reserve’s resident troop of ring-tailed lemurs, and there are several trails you can follow on foot to learn about the various habitats in the reserve. Basic overnight accommodation is available on site. 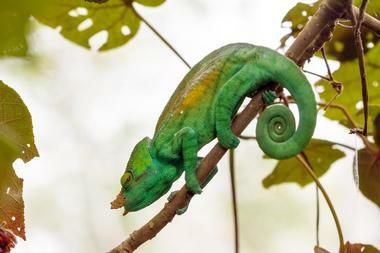 If you are paying a fleeting visit to Madagascar and do not have the time to travel deep into the forests to see the country’s many national parks and reserves, you can still get a taste of the island’s magnificent flora and fauna by visiting Tzimbazaza Botanical and Zoological Gardens in the capital, Antananarivo. The route through the gardens includes examples of the different types of traditional housing used by the various ethnic groups who reside on the island and you will be able to see caged and free-roaming lemurs along the way as well as several exhibits of other animals and plants that are indigenous to the island. Lighthouse enthusiasts will find the Cap Miné Lighthouse (aka Cap Andranomody Lighthouse) located about 10 miles north of the town of Diego Suarez in northern Madagascar. The lighthouse dates back to 1895, when a simple metal tower on a stone base was built to warn sailors of the treacherous coastline. Over time, the original tower was replaced by a 45 foot hexagonal brick tower, which you can visit today. The lighthouse keeper lives on site and enjoys taking visitors up to the viewing platform at the top of the lighthouse and explaining all the technical details. While you are there you can also see some old cannons and the remnants of an abandoned defensive fort. Located just a short distance from Antananarivo International Airport, the Croc Farm is a zoological and botanical park where you can see a variety of indigenous Malagasy animals and plants, including hundreds of enormous Nile crocodiles. 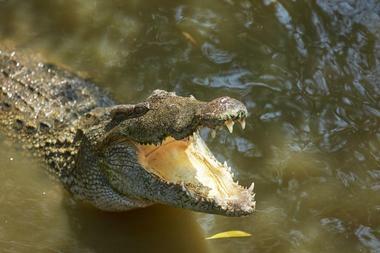 The crocodiles at Croc Farm are bred on site to provide both meat and crocodile leather for luxury items such as handbags, shoes, and luggage (on sale at the gift shop). You can see hundreds of these fearsome predators basking in the sun around the lake (or snatching up their dinner if you visit during feeding times: at noon on Wednesdays, Fridays, and Sundays). You will also have a chance to see several other animal and bird species, including free-ranging lemurs, parrots, and reptiles. For a small tip, a local guide will show you around. Isalo National Park is located in the Ihorombe region of southern Madagascar, where it covers a vast area of over 81,000 hectares. Isalo is renowned for encompassing a wide variety of terrains, including fascinating sandstone formations, a network of rivers and streams, palm-lined oases, grasslands, and deep canyons. The best way to explore the park is by using a combination of road circuits and trekking trails, which will lead you deep into the interior of the park, where you can swim in natural pools and see several beautiful waterfalls. There are many interesting geological and cultural features to uncover (abandoned palaces and royal tombs) as well as hundreds of animals and plants to admire, including lemurs, reptiles, and hundreds of birds. There are several campsites to pitch your tent. 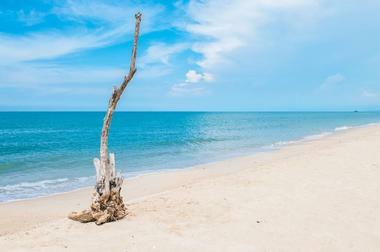 Sun worshippers who are looking for a deserted stretch of beach will find that Kimony Beach perfectly fits the bill. The beach stretches for almost 4 miles along the west coast of Madagascar, about 4 miles north of the town of Morondava, and can be reached by following a dirt road through a landscape of fields and palm groves. There are no facilities at the beach and you will need to bring your own food and drink to enjoy while watching the local fishermen gliding out to sea on their boats. If you would like to linger for a few days, you can check in at the Kimony Resort, which is separated from the beach by a stretch of mangrove forest. Located in western Madagascar about 30 miles north-east of Morondava, Kirindi Forest (aka Kirindi Private Reserve) is a private park occupying what was once a sustainable timber harvesting site. You can explore the park by following two circuits, which will give you the chance to spot several species of lemur and the astonishing giant jumping rat (which hops on two feet like a kangaroo), which is only found in Kirindi Forest. 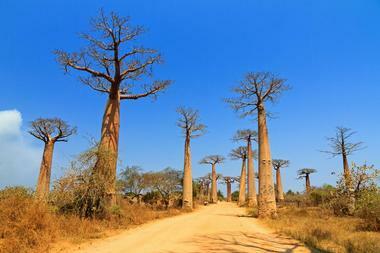 In addition to admiring the unique wildlife, you can also try and identify three species of baobab tree and many other examples of indigenous Malagasy flora. 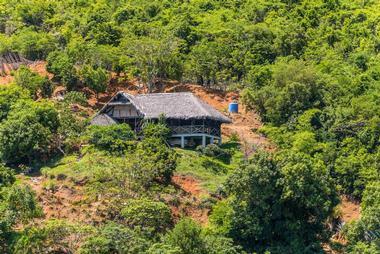 You can spend a night or two in the rustic Ecolodge or pitch a tent under the forest canopy. 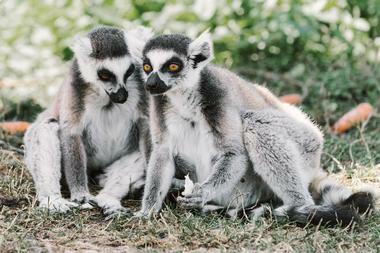 Located about 12 miles west of the capital in the Antananarivo Highlands, Lemurs Park is an ideal place to get up-close and personal with nine species of lemurs. Most of the animals were former pets or were rescued from dangerous situations in their natural habitats – they are free ranging and are well habituated to humans, so you can really get close to them to observe their antics. You can expect to see around 50 individual lemurs, including ring-tailed lemurs, Coquerel’s sifakas, and black-and-white ruffed lemurs. 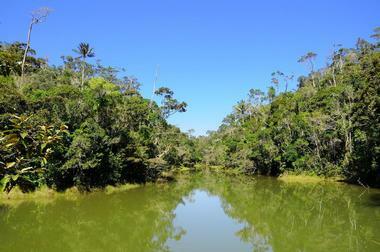 The park offers a tranquil environment where you can get back to nature and enjoy a uniquely Malagasy experience. Although Madagascar is blessed with literally dozens of bays and inlets, Three Bays refers to the Bay of Dunes, Bay of Pigeons, and Sakalava Bay, all of which are found at the northernmost tip of the island near the town of Diego Suarez. Each of the azure bays is home to a lovely stretch of beach, and the Three Bays are a popular tourist destination. There are several tours that will take you to the Three Bays by 4X4 and it is easy to explore all three on foot along a coastal path that runs close to the shore. 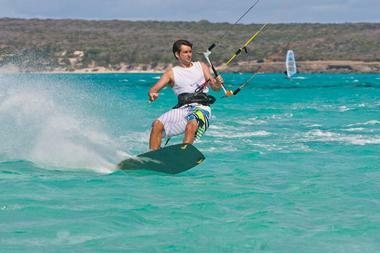 You can look forward to brilliant views, plenty of bird sightings, and excellent conditions for wind surfing and kite surfing at Sakalava Bay. Lokobe National Park is located on the popular tourist island of Nosy Be off the west coast of northern Madagascar, which is known for beautiful beaches and spectacular sunsets. 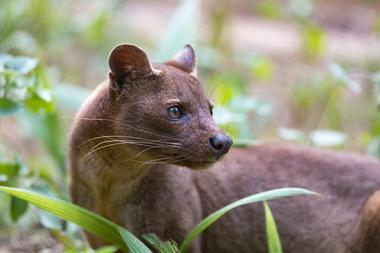 The park protects the last remnants of natural Sambirano forest, which once covered much of Madagascar, and is home to at least three species of lemur as well as an abundance of other mammals, birds, and reptiles. You need to hire a pirogue (a motorized canoe-like boat) to reach Lokobe, but once on site you can enjoy three hiking trails that will give you the chance to see much of the flora and fauna. 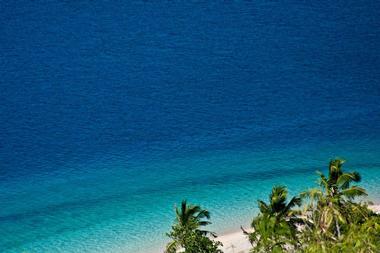 After visiting the park you can spend a day or two enjoying the beaches of Nosy Be. Lake Alaotra is the largest body of freshwater on Madagascar and provides a rich and essential habitat for many rare and endangered species of water birds. The lake is quite difficult to access, you can get there along poor roads or by catching a local train, but the reward for nature lovers will be the chance to see many unique species of birds that can only be found in the vicinity. The area around the lake is densely farmed and used to provide enough rice to feed the entire population; however, bad agricultural practices have resulted in severe soil erosion, which is threatening the existence of the lake. You can visit the agricultural station to find out more about all the crops grown around the lake. Located a short distance outside the city center of Antananarivo (on your way to the airport), the La Digue Craft Market is a great place to pick up some authentic Malagasy souvenirs to take home. You can browse hundreds of stalls at your leisure to find locally handcrafted baskets, leather goods, embroidery, and textiles. Highlights of the large open-air market include beautifully carved wooden masks and sculptures, beadwork, semi-precious stones, and lovely scarves made out of wild silk – a Malagasy specialty. You will also find many colorful toy replicas of local cars, trucks, and busses made out of recycled household goods. 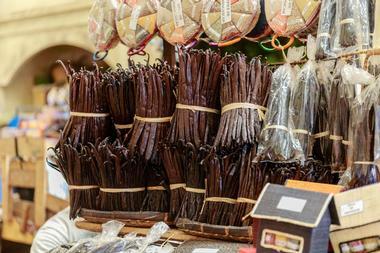 The market is open daily and admission is free. Nosy Tanikely lies 6 miles west of Nosy Komba (nosy is the Malagasy word for island) off the northwest coast of Madagascar. 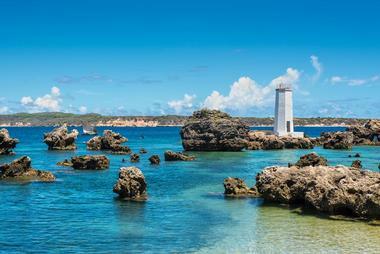 The island is a protected marine reserve and is known as one of the best places along the coastline for snorkeling. The underwater wonderland contains good coral reefs teeming with marine life, and you even have the chance to swim with rare sea turtles. Snorkeling is best early in the day before the wind comes up and equipment is available on site. 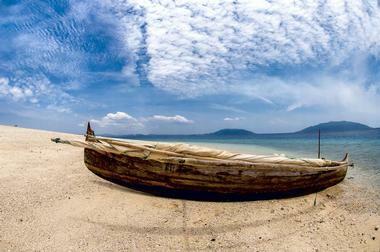 There are a number of island day tours available that will take you to see Nosy Tanikely, Nosy Komba, and Nosy Be. Ranomafana National Park is one of Madagascar’s most easily accessible national parks and is consequently very popular with tourists. The park was established in 1991, covering a large area of over 160 square miles of primary and secondary forest, which provides the ideal habitat for the critically endangered golden bamboo lemur as well as a further 11 species of lemur and many other species of indigenous wildlife. You can truly embrace nature as you hike along the five well-maintained trails – distances vary from around 4 hours to strenuous 2 to 3-day treks. There are campsites dotted around the park where you can spend a night or two surrounded by the sounds of the Malagasy jungle. 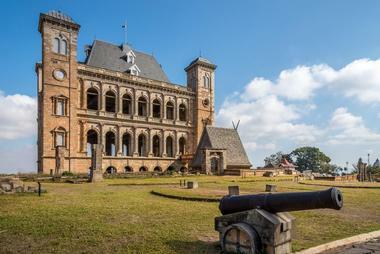 The Queen’s Palace (aka Rova) is part of a large royal complex in the heart of the capital city of Antananarivo and can be explored as part of a walking tour of the city’s historic sites. 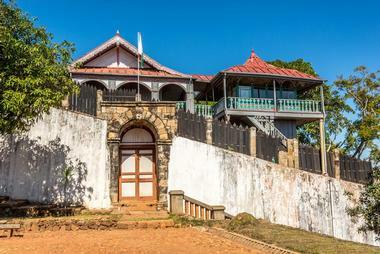 The palace was built for Queen Ranavalona in the 17th century and must have been a sight to behold back then. Successive generations of royalty added buildings to the complex to suit their needs, which resulted in an interesting mix of architectural styles. Unfortunately much of the interior was destroyed by a fire in 1995 and restoration continues at a snail’s pace. Today, you can admire the remaining stone parts of the palace and the adjoining chapel, tombs, and gateway. The interior remains a shell where salvaged relics are stored until restorations are complete. The Pirate Cemetery is the final resting place of several notorious 17th century pirates who terrorized the busy East Indies Trade Route for approximately 100 years. The cemetery is located on the small island of Ile-Sainte Marie, which lies off the east coast of Madagascar, attracting many visitors to come and enjoy beautiful beaches and excellent diving opportunities. It I believed that during the 17th and 18th centuries more than a thousand pirates lived on the island and there are numerous legends of buried treasure and sunken galleons. The best way to explore the long narrow island is to set off on foot, bicycle, or scooter; after you have visited the Pirate Cemetery, you can take rent a pirogue to explore the very beautiful coastline and see some of the infamous pirate’s landing coves. 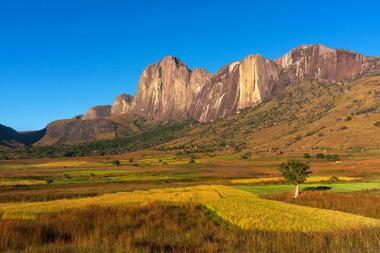 Located on the outskirts of the Andringitra National Park in southern Madagascar, the enormous Tsaranoro Massive and its surrounding valley attract a wide range of adventure seekers. The sheer granite walls of the Tsaranoro Massive reach a staggering 2,600 feet above the valley, and rock climbers come from all over the world to take up the challenge of free climbing to the summit. The surrounding valley offers an idyllic location for walkers and hikers, who can set off for day hikes or take on a more grueling multi-day trek with overnight camping. 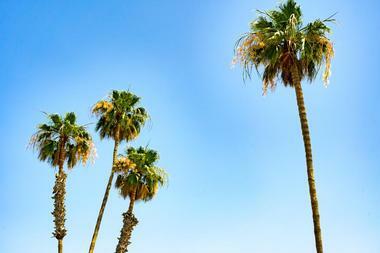 The best time to visit is the dry season between March and December. The name of this curious national park located on the west coast of Madagascar derives from the Malagasy word Tsingy, which translates as “the place where one cannot walk barefoot” – you will therefore need to bring strong hiking boots to explore the undulating landscape of karstic plateaus, where underground water has carved the limestone into surreal shapes and shards. Hikers can look forward to exploring canyons, gorges, forests, lakes, and even mangrove swamps, all of which provide habitats for an amazing array of indigenous plants and animals, including 11 species of lemur. 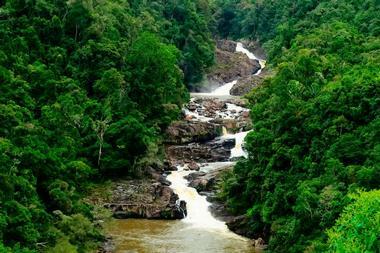 The various hiking circuits include canoeing on the river and crossing a dramatic rope bridge. There are three campsites in the park where you can sleep under the stars.